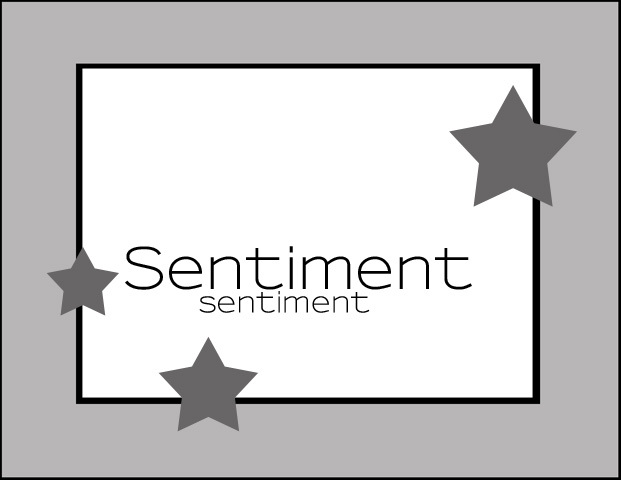 What a quick and easy sketch - I need to make a customer 21 thank you notes so I will mass produce this one in various colors. 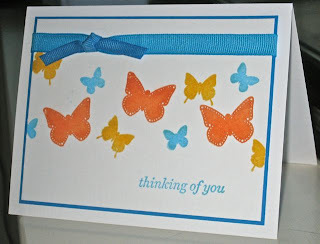 I drew a line around the top panel to give the card some dimension without adding too much. Good Morning! 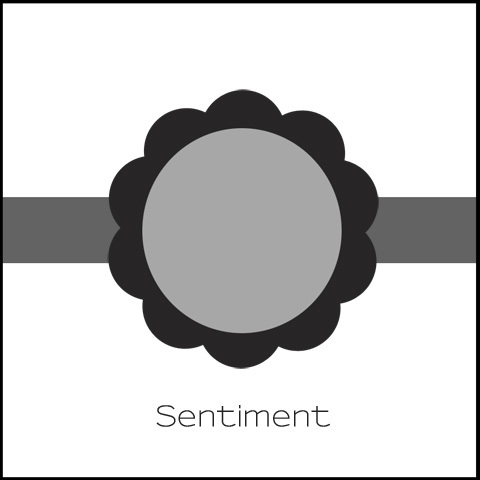 We're taking things super simple and square this week! I've got 2 cards to show, one I made quite a while back and one a little more recent. Have a great weekend everyone! As always, feel free to play along by leaving a link! Well this was an experiment! I wanted to use the Masculine Motifs set from PaperTrey to make a Fathers Day card. The sailboat is a solid stamp. 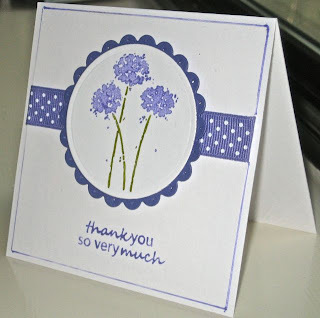 I stamped it on the back of the patterned paper and cut it out. 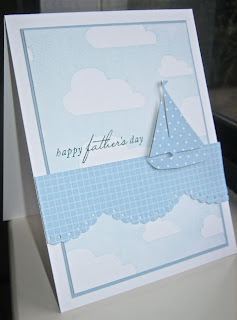 I used a cloud background stamp from Taylored Expressions and took artistic license - you can see the cloud reflections on the water! Another great sketch from Natasha! Good afternoon! Here's this week's sketch. I've used a flower in both my sketch and my card, feel free to use some other object that busts off the card a bit! 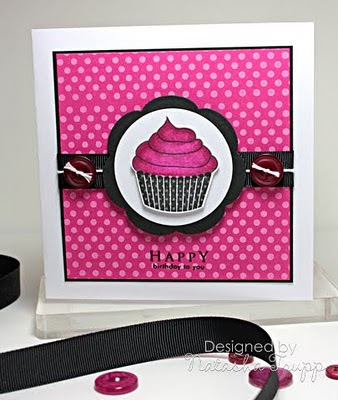 I was in the mood for some In Colors and this card just kind of came together! 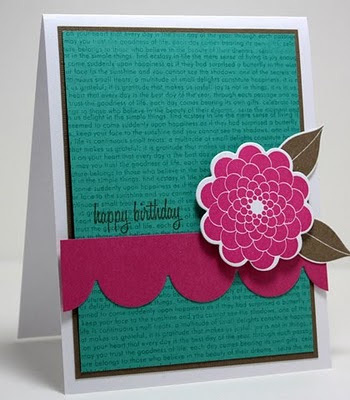 I love this color combination almost as much as I love butterflies! Hello! Here's this week's sketch. I have to admit, I made the card first, really liked how it turned out, so I turned it into the sketch! I quite like Hawaiian Shores, Lemon Tart, and Spring Moss together and will probably make a few more kinds with this colour scheme over the next while. My card is very simple. 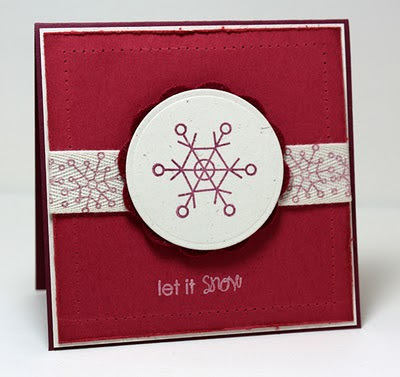 I started off with a 3.75x5 piece of white cardstock, rounded the bottom 2 corners, then began stamping. A good tip for when you are combining 3 or more images- always start with the biggest image and work your way down. 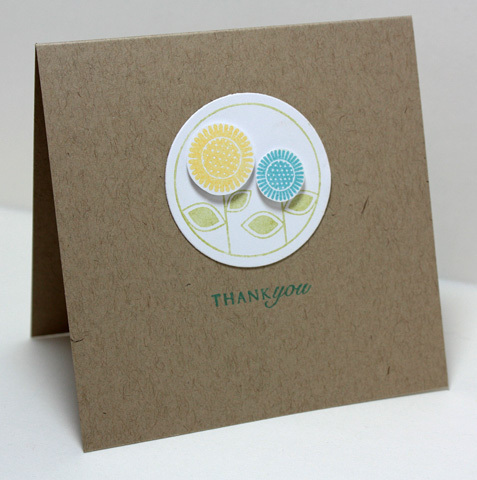 So here, I stamped the lemon flower first, then the turquoise ones, then the itty bitty green ones. 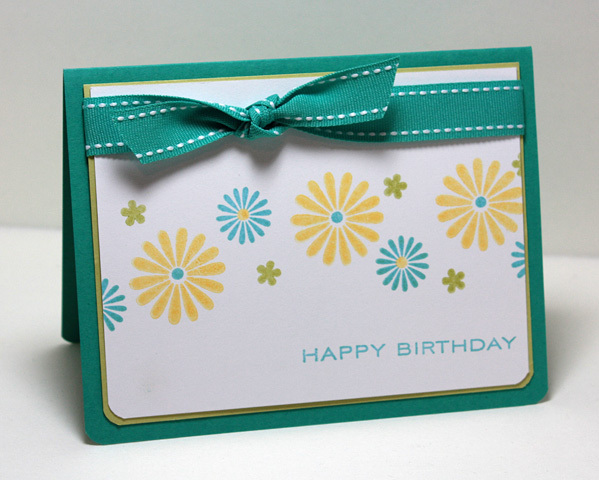 To complete the card, I added a Spring Moss mat, tied some ribbon around it, and put the whole thing on a Hawaiian Shores card base. As a side note, even though Hawaiian Shores is not the exact same as Bermuda Bay, I think it will do just fine as a substitute when that colour is no longer available! 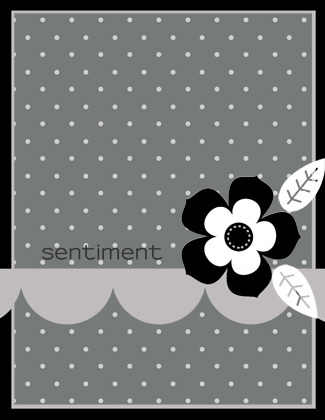 Supplies: Stamps: Beautiful Blooms II, Birthday Basics Ink: Lemon Tart, Spring Moss, Hawaiian Shores Paper: White, Spring Moss, Hawaiian Shores Accessories, etc: Corner Rounder, Ribbon The winner of Round & Round is....Lucky Number 171! Summer Braxton! I will be emailing you shortly! As always, feel free to leave a link to your card! Hello! 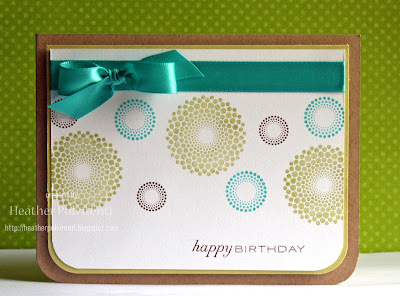 I've got an ultra quick card for you today featuring Papertrey Ink's 3rd anniversary set, Round and Round. I stamped the image on a pre-cut circle. 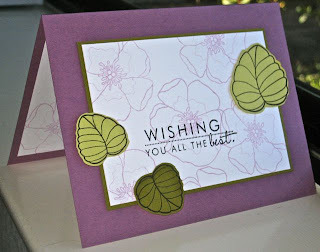 Then I stamped it again on some scrap cardstock, once in Hawaiian Shores and once in Lemon Tart. I cut out each flower and attached them with a pop dot onto the original image. So, can you guess what I have in the giveaway department? This very set, I've got a spare ready to go to someone who didn't earn it! Here's a link to the set if you would like to take a peek. To be eligible, please leave a comment on this post, I'll be doing the draw Thursday, May 13th at 9:00PM CST. Good luck! Another great sketch from Natasha!! I already had these leaves cut out from another card I made this past week so this was the perfect sketch to use them with. Wow! Every week when I post the sketch, I can't believe how many there have been! Here's this week's sketch. Feel free to use any shape in place of the stars, I used flowers. 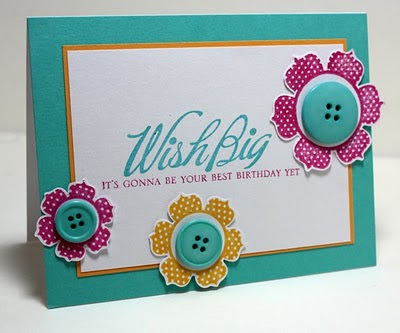 Supplies:Stamps: Beautiful Blooms, Big & Bold Wishes Ink: Raspberry Fizz, Hawaiian Shores, Summer Sunrise Paper: White, Summer Sunrise, Hawaiian Shores Accessories, etc. : buttons * In regards to a comment question- I didn't end up die cutting the flowers. I have the die, and I know there's a way to line it up. 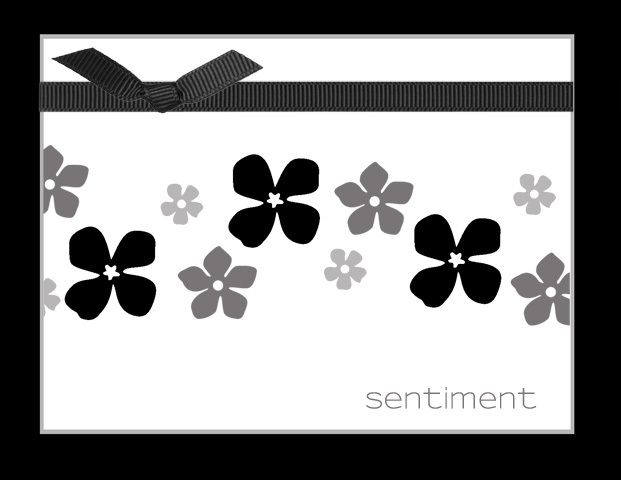 I ended up stamping the flowers and cutting them out since I was short on time and that seemed quicker than figuring out how to line them up. * I thought I'd try using inlinkz this week, see how it goes! Just popping in to share the card I created using the Fall-to Layout #88 sketch posted on Friday. 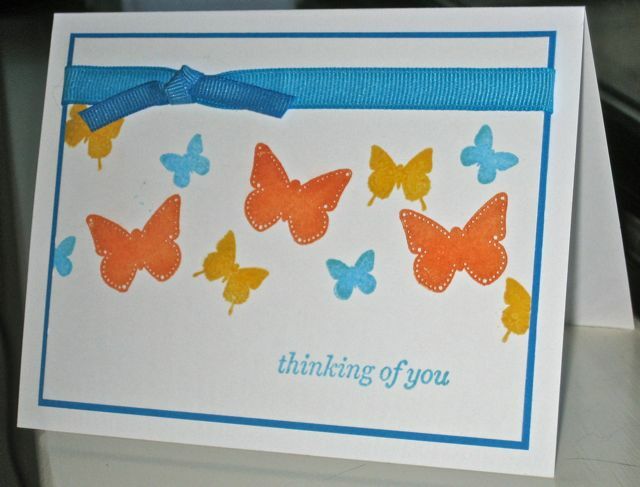 I used WPlus9's Woodgrain Silhouettes and Silhouettes Additions for the images on the card, and one of the Everyday Greetings by There She Goes for the sentiment. 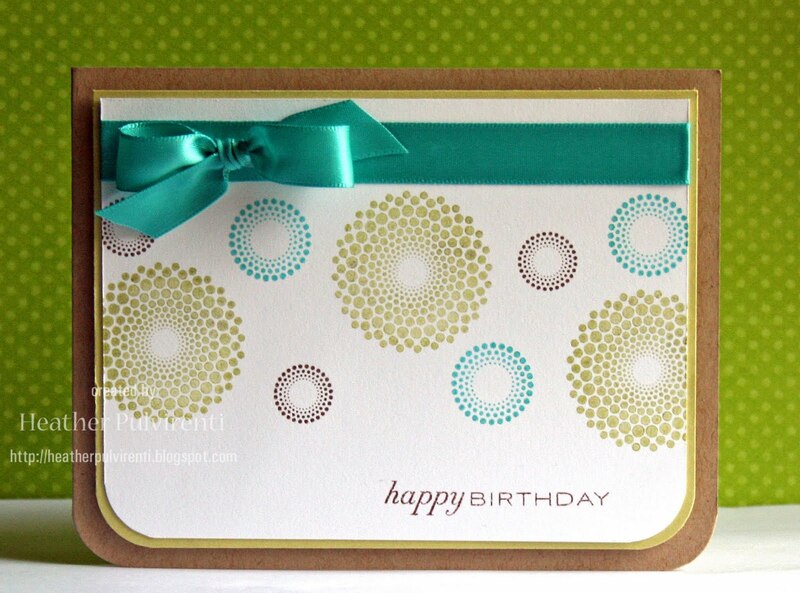 Create 4" x 5 1/2" turquoise card base. 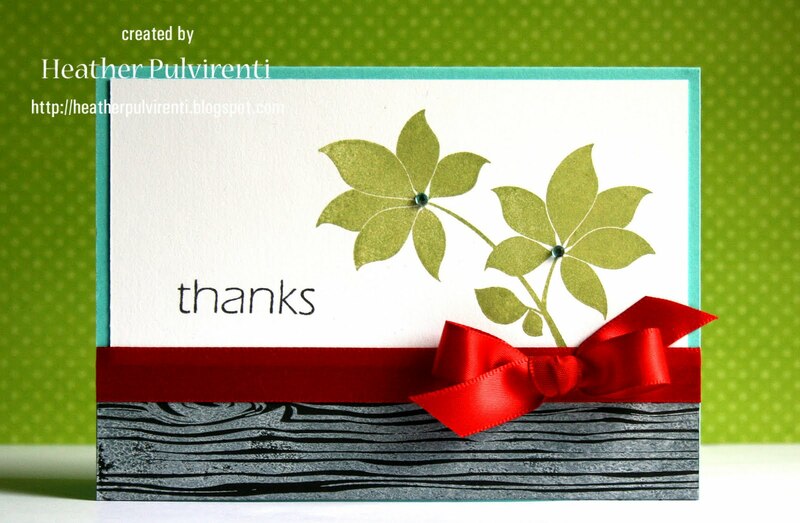 Stamp flower image in green onto white CS and adhere to card base. Stamp white woodgrain image onto black CS, layer w/red ribbon and adhere to card front. Stamp sentiment in black ink and embellish flower centers with aqua rhinestones.